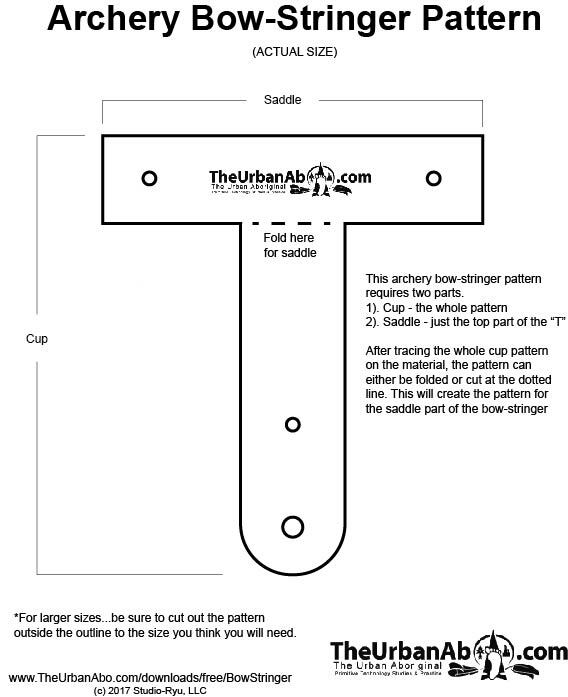 Safely string your bow with this easy to make and use bow stringer. In this tutorial we will make a bow-stringer out of buckskin and stinging nettle cordage. There are a few styles of bow-stringers, this style should work well with flat-bows. To string a bow with this style of bow-stringer...place the cup on the lower limb, then set the saddle over the upper limb just below the nocks in the limb. Then step on the bow-stringer string and gently pull the bow upward towards you. take the bow-string and thread it between the saddle cordage and attach the bow-string to the upper nock, then carefully release the pull and tension on the bow and remove the bowstring. CAUTION: Be sure to keep your face and eyes away from the limbs as a safety precaution should the stringer fail during the stringing process.